Would you like to travel through the history of the railroad? This amazing game lets you play in four different railroad environments, where your goal is to overcome all the obstacles that appear on each level and guide each colored train toward its corresponding destination. Download Train Crisis now! A puzzle and addictive strategy game with HD graphics where you have to prove your quick mind and reflexes in full 3D environment. Train Crisis promises hours of challenging fun! – 7 Eras of rail-road history (Industrial Era, Far West Era, Modern Era and Future Era). – Spectacular High-definition 3D environments that recreate perfectly the three eras with many details as vegetation, animals, mountains, rocks, tunnels, banks, portals, etc. 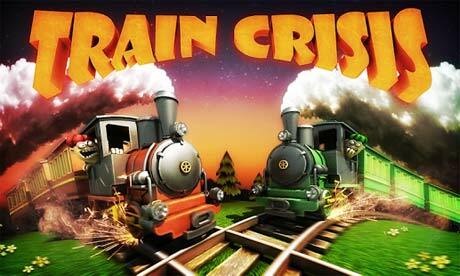 – Train Crisis provides 168 challenging levels for players to conquer. – In-game tool to help you solve puzzles more easily. – You must interact with several elements to get past the level: changing junctions; timed traffic lights; trap tunnels; transportation of money; ghost trains and parts of the track obstructed with rocks you must blow up. 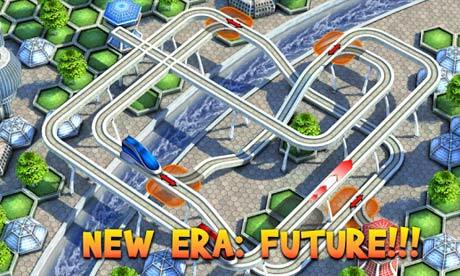 – Spectacular colorful graphics effects with explosions of trains and rocks.